This 360 Protective iPhone Case has Front & Back Glass Protection for Your iPhone. 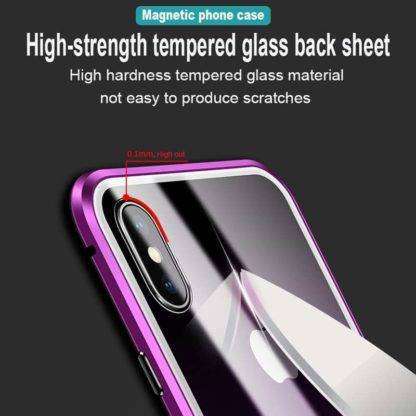 You no need to put Tempered Glass on front Screen of Your iPhone. Its Like 360 Glass Box for Your iPhone which covers its Fully with access to all its functionalities. Magnetic Absorbing protects Your iPhone by holding together both side Glasses of this Case. Front Glass Protects Front screen. The Quality of Glass at both sides is 9H Tempered Glass which protects your iPhone from damages. 0.5 MM thickness of the case Let Hardly feel you that there is any case on it. Make Wireless charging of Your iPhone Perfectly. This case material has no obstacle in wireless charging technology. 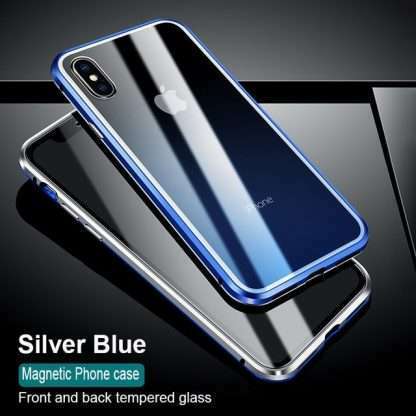 High Quality Metal Magnetic Frame Holds case will firmly on Your iPhone. You can Charge Your iPhone without removing the case. Slim fit snap-on case allows You to easily access to all buttons, controls and ports of iPhone. 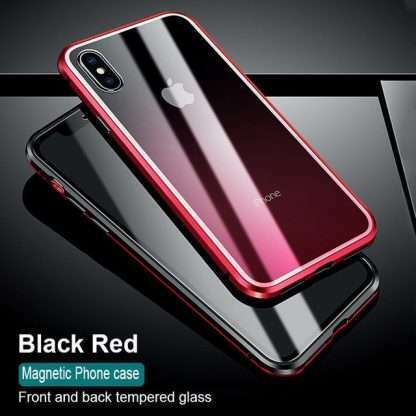 One of best 360 iPhone Protector, No need of Tempered Glass. Very good product. With front and back glass, protecting very good, good looking. I recommend it, came very quickly to Poland. 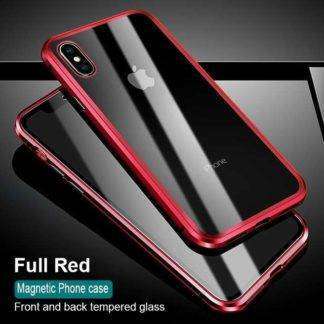 shows real iPhone front glass vision is awesome, i’m very satisfied with this case. Thank you. 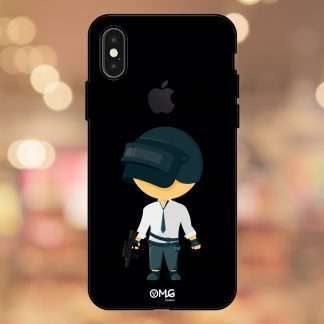 This is one of best case i have ever purchased, quality is top!!! 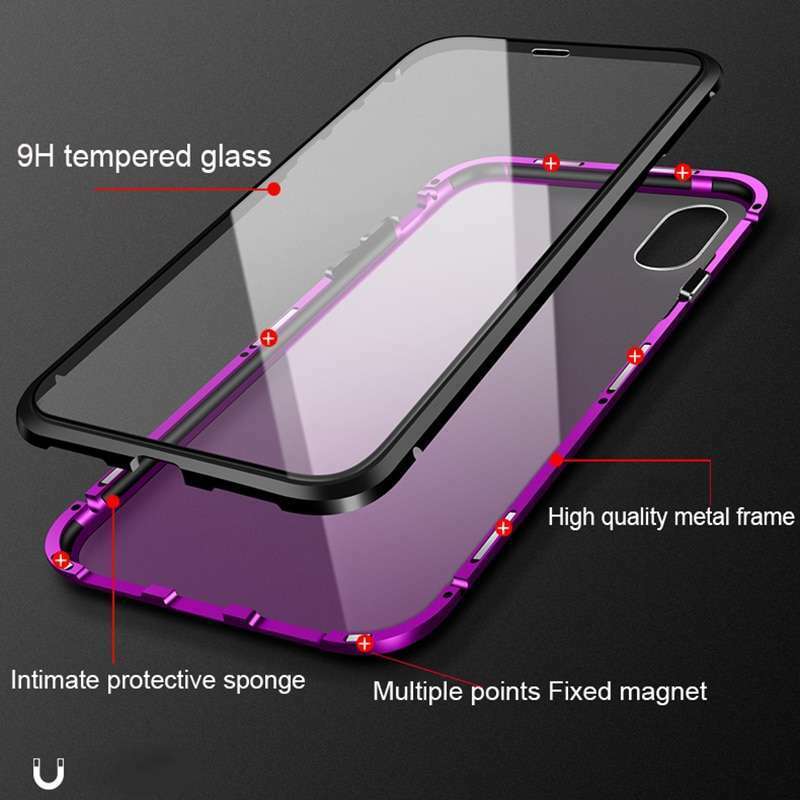 i couldn’t stop myself for this review, received within 7 days of ordering, and case is quite luxury & protective. all went good, shipping took 12 days, but it worth waiting. Previously i ordered this cover at cheap price, but quality of this case is unmatched.